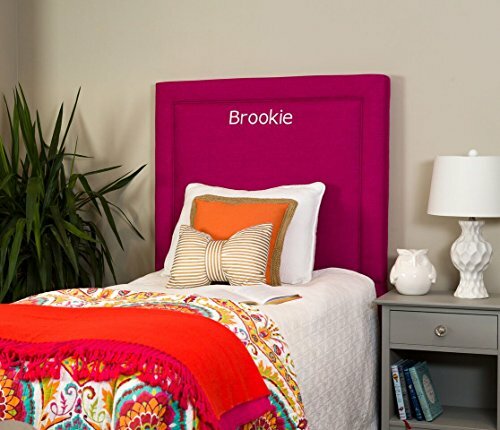 Fashionable and colorful describe this Twin children's headboard. Personalize it with your child's name to create a space that is all their own. The all mine Twin children's headboard boasts quality, colorful upholstery along with piping detail, guaranteed to become the focal point in your child's room. All personalization is done in white thread. There is a limit to 9 letters for personalization. Personalization is available in run kiddie and blocks fonts. If you have any questions about this product by Leffler Home, contact us by completing and submitting the form below. If you are looking for a specif part number, please include it with your message.